On Monday night September 12th, 2011 at 6:30pm we will be meeting in the lobby of the Rave Theaters at Franklin Park Mall (Westfield Shopping Center). At 7:00 the screening of the documentary “An Elephant In The Living Room” will begin. It is a documentary on housing exotic pets. To be more specific, per reviews, it is more focused on the housing of dangerous exotic animals as household pets. The movie runs about an hour and a half long with a Q&A afterwards. 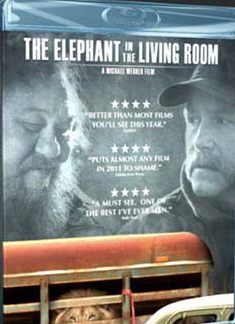 For more information on this movie, the trailer can be seen by clicking this link: theelephantinthelivingroom.com.